This post on distracted driving applications is going to be divided into two: one for adults, and one for parents of young adults and teenagers. As the saying goes, “there’s an app for that” and distracted driving is no exception, pardon the oxymoron. From apps that shut down phones at certain speeds to apps that read your messages to you, we will give you the lowdown on cost, benefit, and any negative aspects of the app. An app that prides itself on being a deterrent to distracted driving, the LifeSaver app runs in the background of phones, activating when the app has surmised you’re driving. It does this through GPS and speed tracking. Once activated, the app blocks incoming messages and emails, and locks the phone down. The only apps allowed to be accessed or utilized are music and GPS apps. You can set up a “Loved One” on the account who will receive notifications of your journey’s beginning and arrival, and a notification will be sent out if you deactivate the app while driving. Within the app’s “Driver Portal” parents can give their children monetary rewards for driving safely. This app is a good one, especially to help curb distracted driving cold turkey. The “Loved One” option is nice, especially for spouses and parents, to ensure everyone makes it to their destinations safely. The app does run in the background and can activate if one is a passenger in a car, is pretty draining on batteries, and allows no tracking data. The app is free but there can be in-app purchases or fees for certain portal features. Drive Mode is one of the best apps out there when it comes to distracted driving. It blocks all incoming calls and messages and replies to them that you are driving, turns on automatically at 15 mph, and allows GPS and Music function while activated. It also notifies parents if Drive Mode is disengaged. It’s simple, free, and easy to use. EverDrive is a lot like TrueMotion in that it merely tracks your actions while driving. 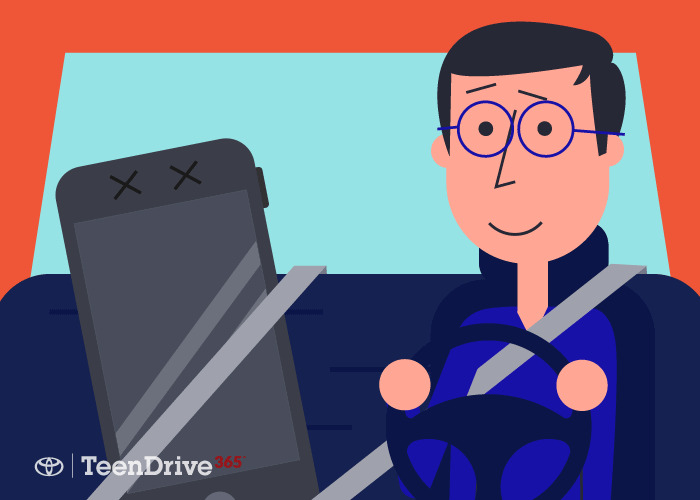 Instead of blocking calls or disabling phones, it creates reports every time you drive. The safer the driver, the better the reports. You compete within the EverDrive community and drivers with safe driving records and reports can receive lower auto-insurance rates. The application is free. All of these applications are good ones. It depends on what you need when you’re driving. If you know you are constantly distracted by your phone, get an app that shuts the phone down. If you’re trying to monitor your behavior and habits while driving, download an app that tracks the data for you. Anything that helps you drive safer is better for everyone.